Gmail can hold back delivering emails for some seconds after you have clicked Send. 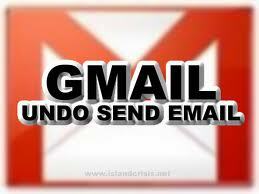 You can "unsend" an email and recover from false recipients, spelling mistakes and maybe forgotten attachments. Go to Lab Setting in Gmail. Pick the desired time to undo message delivery under Undo Send: Send cancellation period: __ seconds.